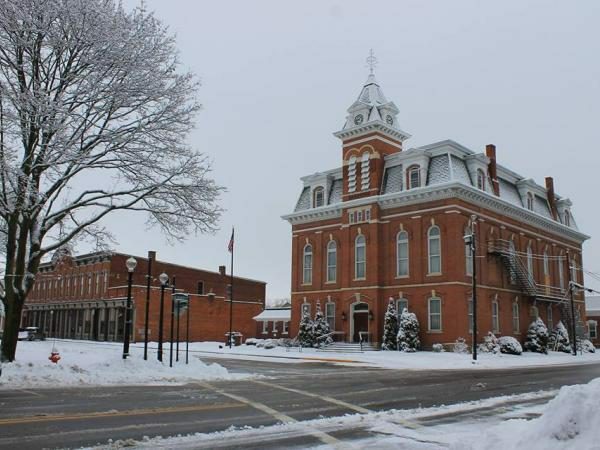 Top Five Ohio Small Towns You Need to Visit This Winter - Ohio. Find It Here. 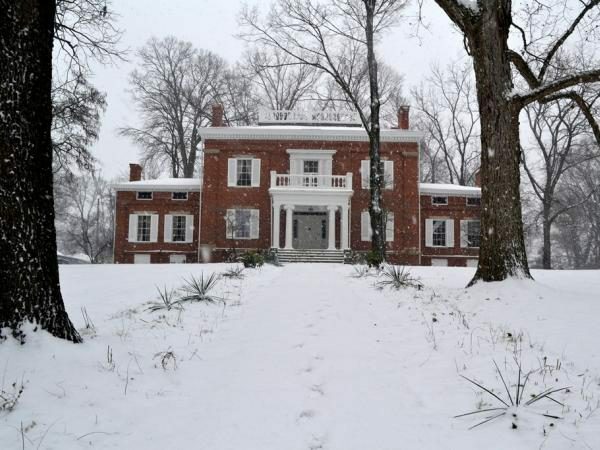 Ohio is rich with some of the most charming small towns in the region that welcome visitors year-round, but perhaps the most unexpectedly beautiful time to visit them is winter. With snow falling and the cooler temperatures setting in, there is no better time to visit these scenic escapes. Here are five small towns to keep you traveling all season long. This little New England style charmer will have you falling in love with its distinctive architecture and quaint shops. Stroll through the 16 rooms of the Avery-Downer House which hosts a number of 18th and 19th century decorative arts that make up the Robbins Hunter Museum. Enjoy a historic stay at the Buxton Inn where you can dine at the same table as William H. Harrison. Discover the more than 15,000 living plants on the grounds of Dawes Arboretum where you can learn the process of tapping your very own maple syrup. 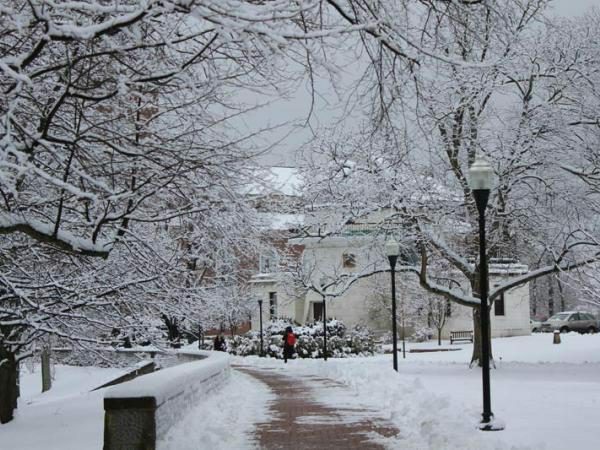 This picturesque winter wonderland will have you returning again and again. This small town is an antique lovers dream! With several shops lining the streets such as Ambassador’s Antiques, you are sure to find treasures to bring home with you. Relax on the LM&M Train for a tranquil ride through the snow-covered country side. Cozy up for some comfort food at the Golden Lamb Restaurant and Hotel which has hosted 12 U.S. presidents and famous Americans like Mark Twain. Or Satisfy your sweet tooth with a Texas Tortoise at the Golden Turtle Chocolate Factory. From shops to sweets, this little town will leave you wanting more. Uncover history in the charming village of Milan. Milan boasts as the birthplace of Thomas A. Edison where you can explore the house and museum where this famous inventor got his start. Find beautiful winter scenery by snowshoeing or cross-country skiing at the Milan Towpath Metro Park. Once serving as an early canal and railway, this park with delight the culture lover in you. Dive into the diverse inventions and history in the exhibits at The Milan Museum. Milan is a beautiful escape for your winter getaway. 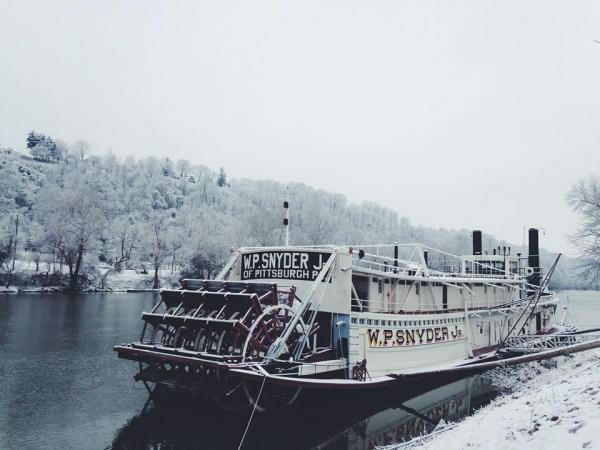 Located in among the rolling hills of the Mid-Ohio Valley, Marietta is known as a charming riverboat town where it’s nestled in at the confluence of the Ohio and Muskingum rivers. The arts are on display at The Peoples Bank Theatre and The Adelphia Music Hall located in the historic Hackett Hotel. Catch a performance or a play while surrounded by beautiful architecture and art. 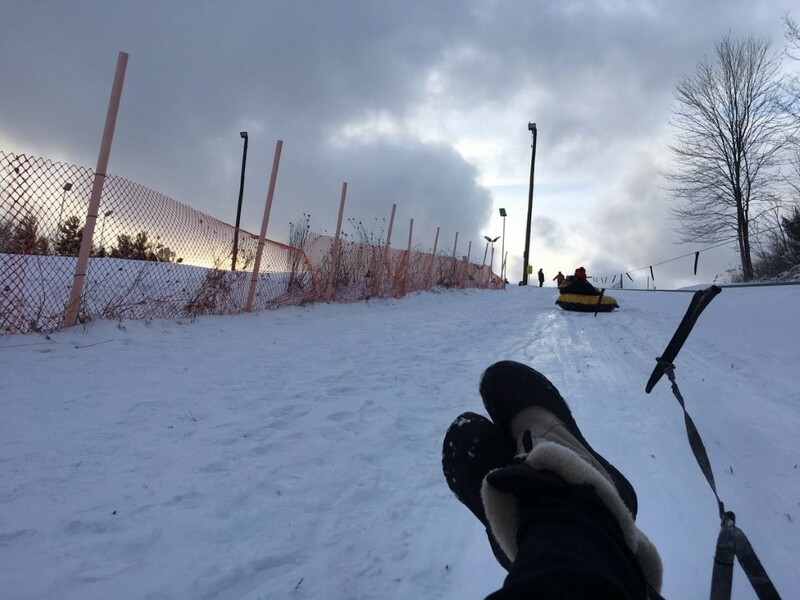 Take a winter hike up to the Ancient Earthworks to view the snow covered Quandranou Mound to gain an appreciation for this small town’s long history. With its charming feel, scenic riverfront views, and abundant history, Marietta makes for a great wintery getaway. Founded in 1818, Medina is a beautiful Victorian-era town with remarkable turn-of-the-century-charm. Cozy up with your significant other with a relaxing stay at The Spitzer House, an award-winning bed and breakfast in downtown Medina. Explore the playful Little Wiz Fire Museum featuring a 1916 Hallock Chemical Fire Truck and horse drawn fire equipment. Enjoy a bite at Courthouse Pizzeria, located in the oldest building in Medina. 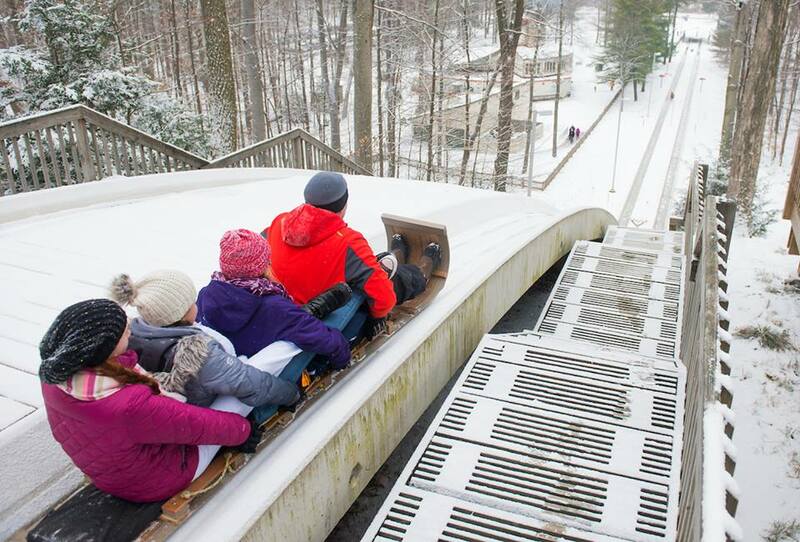 This cute little town has enough quirks and character to provide a fun-filled winter escape! 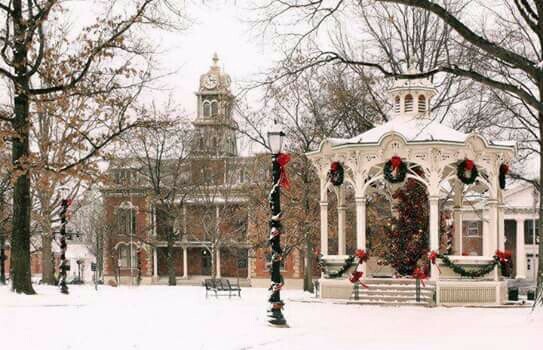 Celebrate this beautiful season with a weekend getaway to one of these historic small towns and share your memories with us using #OhioFindItHere. Top image provided by Clutch MOV.